Euronext All Indices provides complete market data for over 300 real time Indices compiled by Euronext including the key national indices for the Euronext markets, namely the AEX® , Bel 20® , CAC 40® and PSI 20®. The Euronext All Indices Real-Time product provides the level of the index, type of index level (opening index level, real-time, indicative level) and various indicators for the instruments that make up the index. 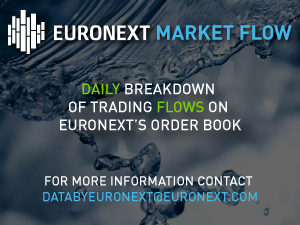 In addition to the real-time service, Euronext provides end-of-day index data products that provide index composition and weights, daily index values, divisors and market capitalisation for Euronext indices. Complete information is available here: End Of Day Index Data.